The torrential rain disaster itself this time, which has been reported everyday by medias, is an unhappy accident, but it is good for me to have re-realized that I have many friends in the world, who showed their concern about us. I thank them for being so considerate. Luckily we have had no direct damages except the influence by the disrupted water supply. On the other hand, my brother had the landslide damage to their fields, which does not affect their daily life though. But his family got a visit from a Brazilian family living in Aichi Prefecture now, who had been moved in his area a while ago and taken care of by my brother. 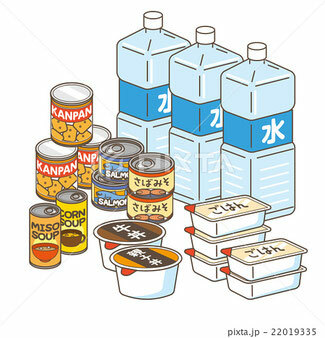 He kindly carried the food, vegetables and so on in his car driving at night all the way from Aichi. I have no personal direct relationship with them, but felt very grateful for their thoughtful action.